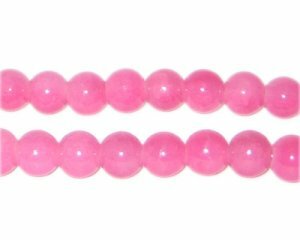 These are 8mm Pink Jade-Style Glass Beads, approx. 53 beads on a 16" string. its my first time here i found this site by accident i love what i see i cant wait to get my shipment i wish there were more yellow beads.